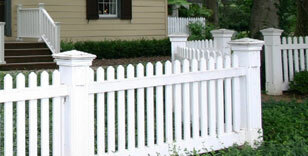 Detailed information and reviews of US residential and commercial companies and contractors offering fencing and gate installation, repair, maintenance services and material supplies. Post your requirements and receive no obligation price estimates and quotes. Install dual swing automatic gate openers and keypad with intercom - Install dual swing automatic gate openers with keypad and intercom, Mighty Mule or comparable product. Chainlink fence installed - We are looking to have some chain link fencing installed. Motorized gate 113 - Need a quote for a motorized rolling gate.